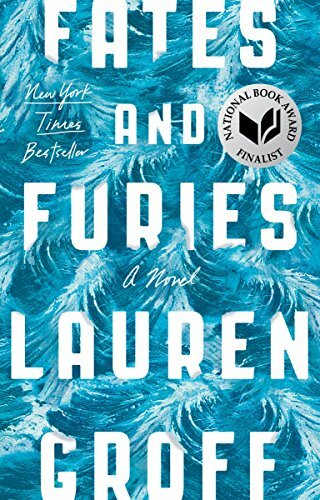 Lauren Groff’s Fates & Furies, just out in paperback, tells the story of a marriage. Fates and Furies shows how two people can misunderstand each other over time. Lotto and Mathilde live their lives together, but they inhabit completely different worlds. In this way, the novel has a similar dynamic to Twitter. 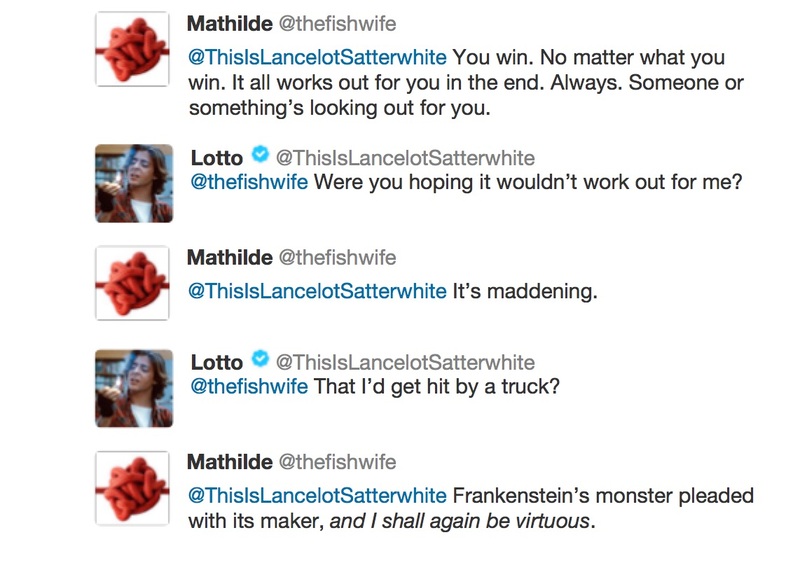 People tweet messages at each other while also inhabiting completely different worlds. Though on the social network major miscommunications take only 140 characters to unfold, in both a true connection remains elusive. 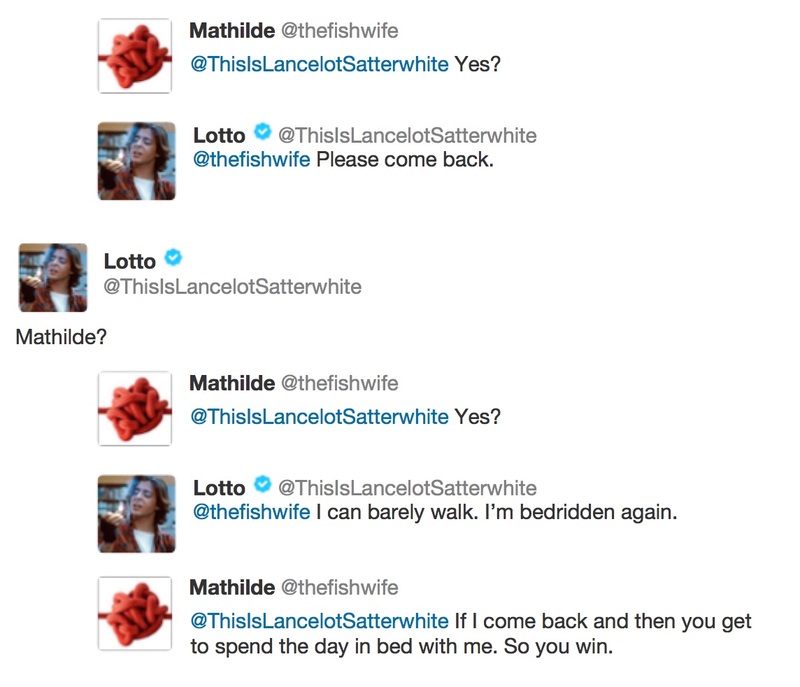 So what if Lotto and Mathilde were both to tweet? 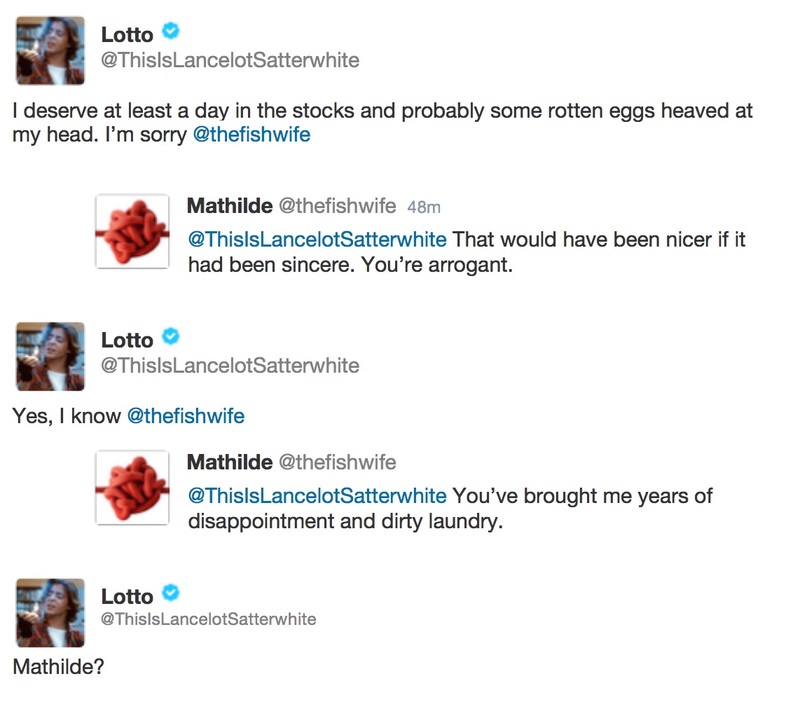 Without the luxury of 400 pages in the novel, Lotto would need to activate all his advantages given the limited space, whereas Mathilde would need to cut short her passive aggressive ways. 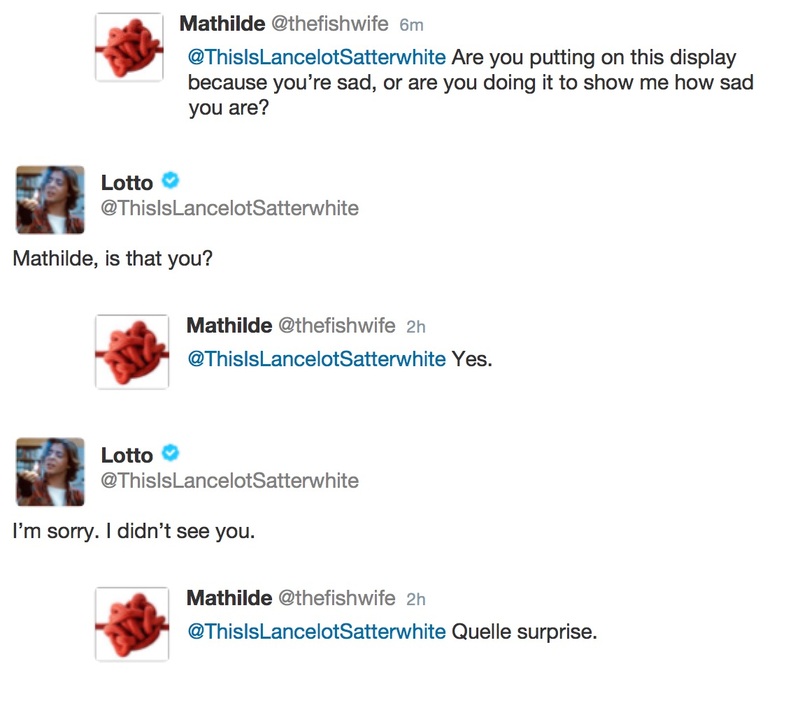 If you have read Fates and Furies, you might question whether a private person like Mathilde would ever expose personal details in a forum designed for public consumption. Under usual circumstances, she would not. 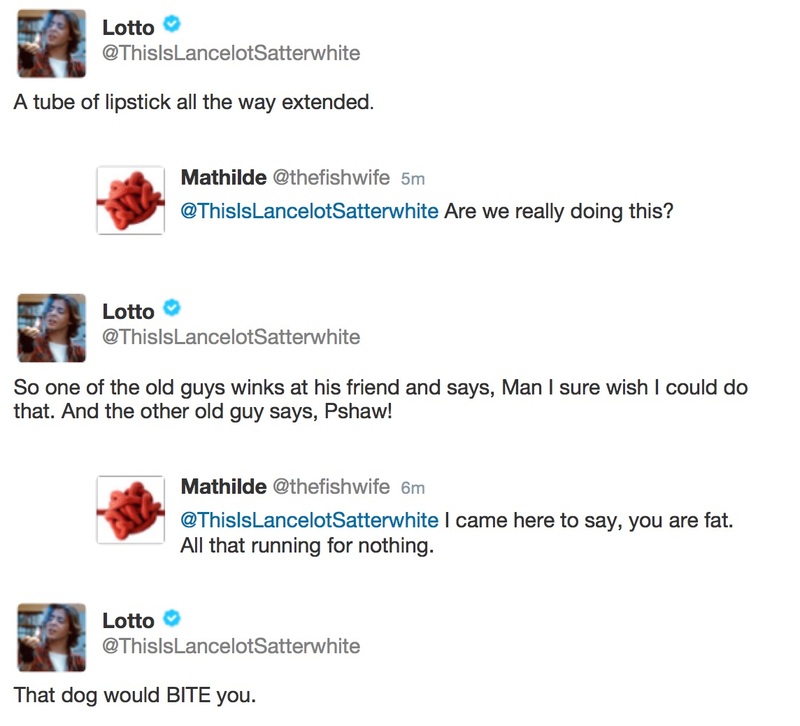 But she’s always made an exception for Lotto and his wicked sense of timing. And he, in turn, has made a life of luring her in. 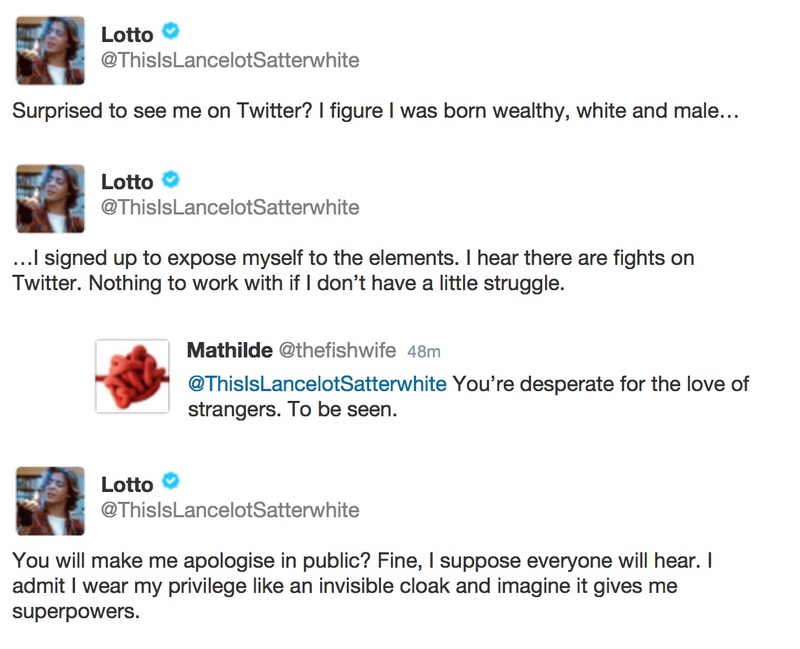 But would high-born Lotto join Twitter? I’ll remind you that he is an actor in a playwright’s hide. He’ll never not be vain. If you can get used to my roommate, I promise it will be an incredible experience. 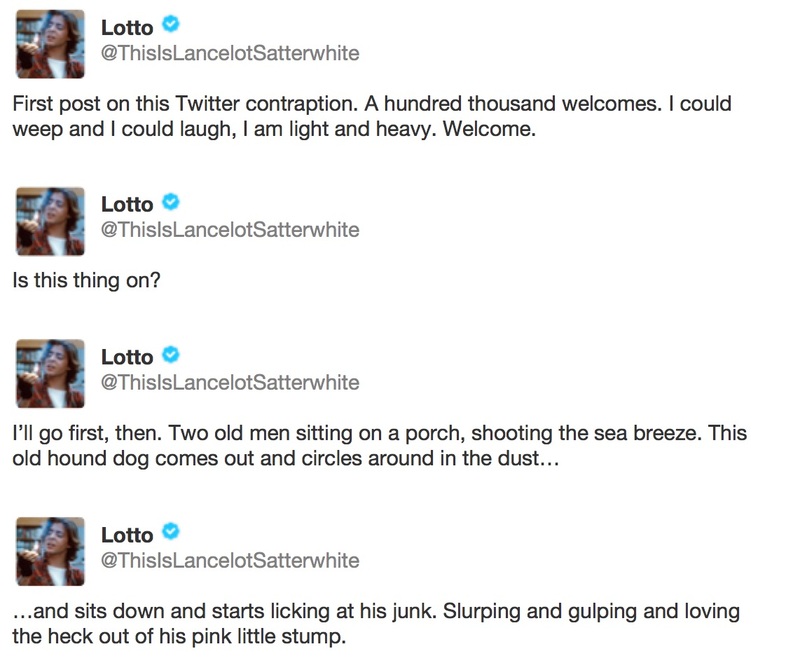 If the characters in the book are 25% as insufferable as they are in these fake tweets then I’m out. Thanks for saving me a few bucks. The book is spectacular, but maybe Twitter is one thing that reduces us all. Didn’t Updike do this in Rabbit, Run? You destroyed Doctorow’s masterpiece; the least you can do is understand my frustration.